Why Is Organic Reach Decreasing? If you are a small business with a Facebook Business page, you’ve probably wondered why all your social post lack any real engagement. I’ve worked with many businesses utilizing Facebook who have hundreds of fans, but are reaching less than 10% of their total followers. This isn’t just a you problem, its a me problem too! Check out the stats from the last few Facebook posts on my film blog. According to my Facebook Insights, my page is tanking. So, back to the original question. Why is my organic reach almost non-existent? Well, I have zero clue. BUT WAIT! 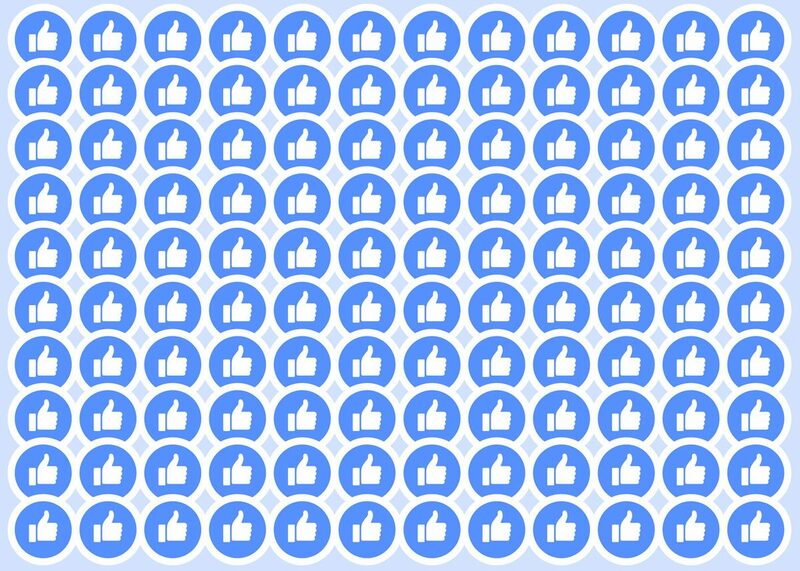 The Vice President of Facebook Advertising Technology, Brian Boland wrote a piece explaining the decreasing organic reach a while ago. While this might be old news to people in the know, this might also be the first time some of you are hearing about this. Essentially, Brian (not me) explains that 2 main reasons are causing decreased organic reach. 1. An overabundance of content being created. It doesn’t look like the reasons Brian (again, not me) pointed out will be changing any time soon. So the question remains, how do I increase traffic to my Facebook Business page? Brian neglected to speak deeply about Facebook as a business. Like all businesses, Facebook is looking to make money. It would make sense that organic traffic decreases in order to increase the need for paid advertising such as a “Boosted Post” to earn that traffic. I use paid advertising and it is an incredible feature if you use it correctly. However, this post is about increasing traffic without the need for paid advertising. The way I see it is this: If I already earned the followers on my Facebook feed, why am I not allowed to reach them? Do I really need to pay to reach followers I’ve already earned? While you can definitely go the paid route, I’ve curated a few simple ways you (yes, I’m pointing at you) can increase your organic traffic before you consider spending advertising money. If you post it. They will come. Part of building a strong social following, is discerning what type of content you should post. This is all dependent on your audience. If you run a film blog, like me, it doesn’t make much sense to write a blog post about my opinion on the Presidential Election (unless I’m looking to get impeached. See what I did there). However, it might make more sense for me to write a blog post titled, “Top 5 Political Thrillers Of All-Time”. This post is relevant to the times, and also speaks to what my audience might enjoy reading. The key is discovering what your audience enjoys and posting more of that. You can find that out easily by reviewing your Facebook Insights and identifying trends in engagement. After you find what your audience craves, you feed them. ALOT. One of the issues I personally encounter is posting infrequently. Just check the date I published this post and compare it to the publish date of the first blog post on this website. There is about a 2 week gap there. Now, there are plenty of reasons why I haven’t written a blog post, but you probably don’t care about that, right? Of course not. You just want valuable content from me. Posting frequently will ensure your audience always knows when to expect content from you. It also means there is a consistent flow of content throughout the day. No matter what time it is, you’re audience will see it. Post frequently. Post often. It goes without saying that social media is a hyper visual medium. If you are still posting content without interesting imagery, you are way behind. All your posts should have some sort of visual media, whether that be an image or a video. There are many studies that prove using imagery dramatically increases engagement and as a result reach. Not a graphic designer? You can utilize a wide variety of websites that offer tools to create visuals with impact. A future post will address that! When scheduling social post, don’t just post frequently; be strategic about when you post. Posting 10 times a day might have a negative affect on your audience. Instead of gaining followers you might lose them. Just think of that one Facebook friend you have who constantly posts irrelevant news and content. Makes you want to unfollow them 5 times, doesn’t it? But you can’t because that annoying person is a close family friend, so unfollowing them would be the digital equivalent of a overly dramatized novella. Just can’t do it. Unfortunately, you’re business doesn’t have any family ties. Your loyal fans will turn on you with a snap of the fingers. Always post valuable content strategically throughout the day. Keep your fans happy and they will keep you happy. You can use a tool like Buffer, which automatically reviews your page and suggests optimal posting times. 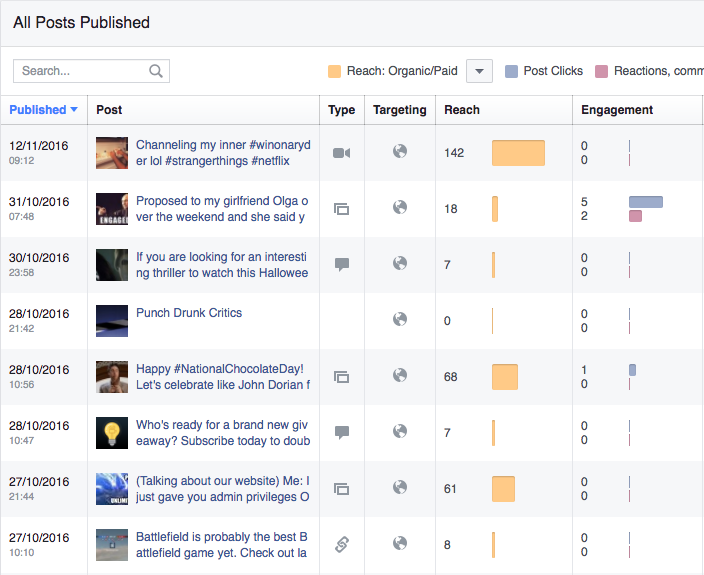 You can also review your Facebook Insights page and see when your audience is online the most. This ties into posting content that your audience wants. Don’t just post any content. Take it to the next level by becoming a valuable resource within your industry. This is literally something I am in the process of doing. It takes time, but the benefits are well worth the labor. You know your audience better than most. Whether you curate content or create original content, build it so that you become a go-to source of relevant information. Creating original content definitely gives you a leg up on the competition. Creating a successful content marketing strategy takes time and sometimes tears. I suggest planning all your content in advance. This allows you the create strong content and gives you time to make adjustments when necessary. Staying organized is absolutely key to doing this successfully. I highly recommend using a free tool like Trello! It would be an understatement to say that Facebook Live is killing it right now. If you haven’t noticed, Facebook is giving its native live stream feature top priority among users’ Newsfeeds. Utilize live video within your content to take advantage of this ever-growing feature. Facebook Live is not going away any time soon. Get on board while its still fresh! 8. Share posts from your Facebook Page on your Facebook Profile. And Employees Too! One way to instantly improve your organic reach is to share your business page content to your personal Facebook profile. This accomplishes two things: It improves organic reach and builds brand exposure. It all starts with you, though. If you have 10 employees with an average of 200 followers on their personal pages, you already have an audience of 2000 people. If your content is relevant, it will spread pretty quickly. Making this a priority within your business guarantees an immediate boost within your organic reach. Your employees should be your brand ambassadors! Part of what makes social media social is actually being social. Don’t just post content. This isn’t a one-way conversation! How boring would that be…instead…partake within your growing community. Answer questions, leave comments, and give “likes”. When you fans see that you are interacting with them, they will start seeing you aren’t just in it for yourself. They will see that you actually want to engage with them. And why wouldn’t you? Every business should be engaging with their fans. 10. Don’t worry about your reach. This is the last point for a reason. Sure, I know you want to build your reach, we all do! I want all my followers to see the content I work hard on creating, but here’s the thing: your reach isn’t as important as engaging with your audience. Successful businesses build relationships. Not sales. The reach doesn’t really matter. I would rather have a reach of 100 people who genuinely love what I create, than have a reach of 200,000 people who could care less. If you focus on creating great content, the reach will come. Trust me. Contact me for a FREE Social Media Consultation to learn how you can build your social media following.